Wits is supported on 2017 and later Samsung Smart TVs. 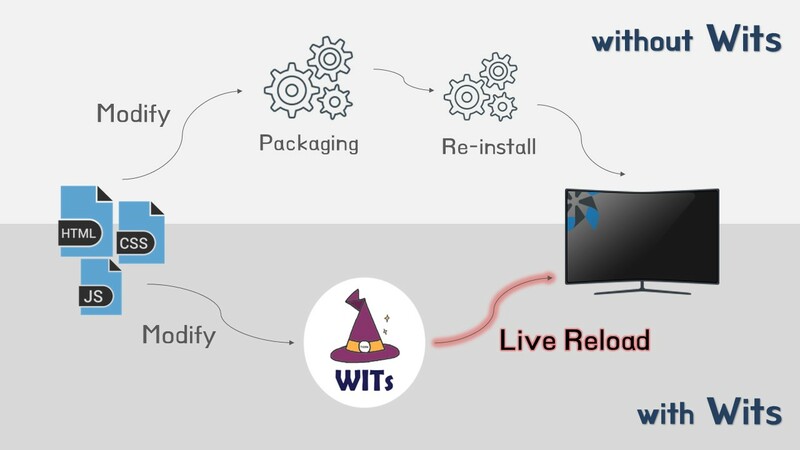 Wits is a development solution for TV Web applications. Whenever you modify your application code, Wits updates and instantly reloads your application on the TV. Wits is an open source project hosted on GitHub. Anyone can use and contribute to the project. Wits uses NodeJS and SDB, which are familiar to many application developers. Simplify your application development with Wits. The Wits source code and documentation is available on GitHub.